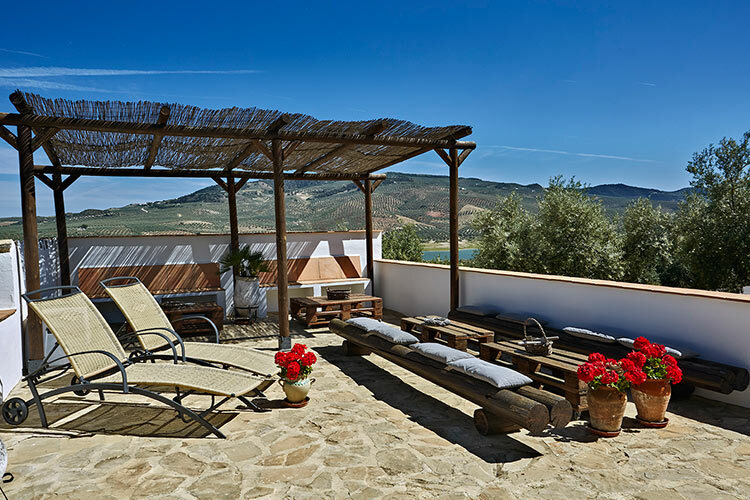 El Olivar’s three casitas are decorated with Spanish accents and are named after fruits growing on the property. 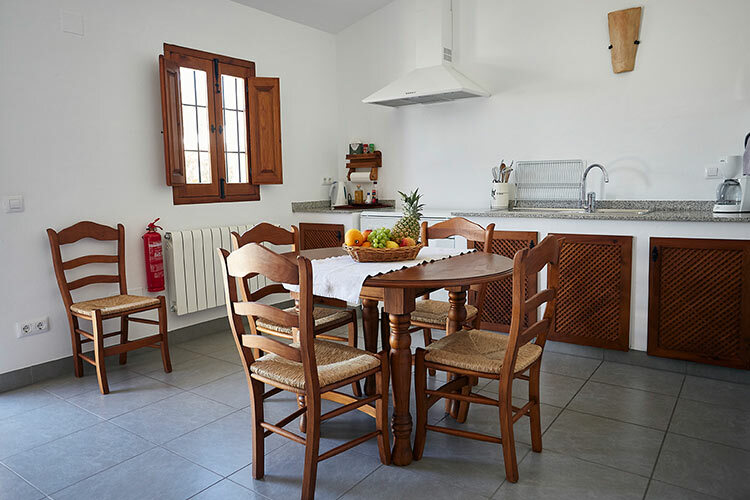 The rustic adjoining casitas are on the ground floor and open to a splendid terrace overlooking the olive grove and the lake. A stylishly decorated bedroom with a double bed or twin beds. The possibility to have two bunk beds in one of the casitas. A spacious bathroom with a shower, basin and toilet. 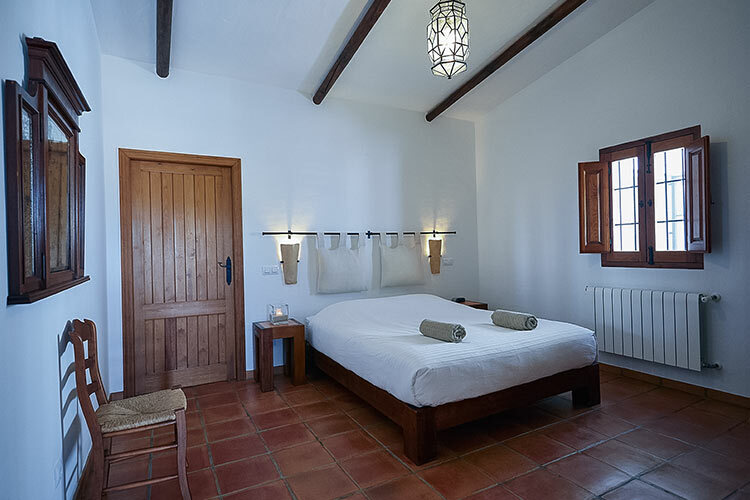 Two casitas were especially conceived to be turned into one, the ideal solution for families with children (max. 6 people). We have special infant beds available for the little ones. The swimming pool on the lower sun terrace.